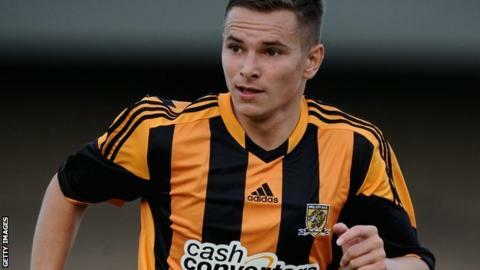 Grimsby Town have signed Hull City defender Conor Townsend on a one-month loan deal. The 22-year-old spent time on loan at Blundell Park in 2011-12, scoring once in 28 league appearances. The left-back has had loan spells with Chesterfield, Carlisle, Dundee United and Scunthorpe in the last three seasons. Townsend could make his first appearance of the season when the Mariners take on Halifax on Tuesday.